Inside: Self care strategies for when you feel like you’re at the end of your rope. 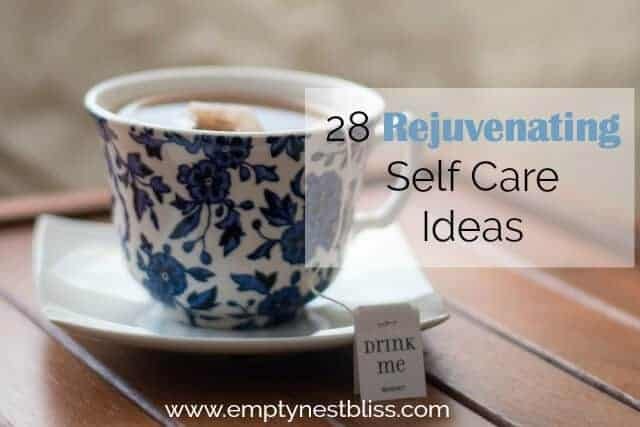 These easy but rejuvenating ideas don’t take much time and can help you reclaim your sanity. Bonus: free printable. Self-care is such a hot topic these days. Every time I pick up a magazine, there’s another article on the importance of self care for women. We spend so much time looking after everyone else that we are often the last ones on the list. In our busy and fast-paced world, our needs can be easily forgotten. And they’ll stay forgotten if we don’t make the conscious effort to include some time each day for self care strategies. I can always tell when I haven’t been paying enough attention to my own care. I don’t know about you, but I get grumpy, short-tempered, and feel unhappy. Nobody wants a mother, wife or friend like that! Self-care can take many different forms and is different for each woman. So many excuses get in the way of taking care of ourselves. Not enough money. Not enough time. People will think I’m selfish if I spend time or money on myself. If you have the time and money for a spa-day, by all means, schedule it now! But if you’re like me, it sometimes can be hard to set aside even 15 minutes a day. Luckily, there are tons of ideas that require very little money or time. You can even make your own pampering products for self care like these DIY Sugar Scrub Recipes that smell so good and leave you with soft, exfoliated skin. I found that it was harder to make excuses if I had a cheat sheet of self-care ideas available. I print this out and keep a copy over my desk and another in my planner. Then when I have a spare block of time, I pick something off the list. I always feel better after. You can download your own self care list and follow along with me on a self-care journey. It’s super simple. Every day, pick one thing from the list and take a time out for yourself. Who’s with me? What are some simple ways you fit self-care into your day? Want to remember this? 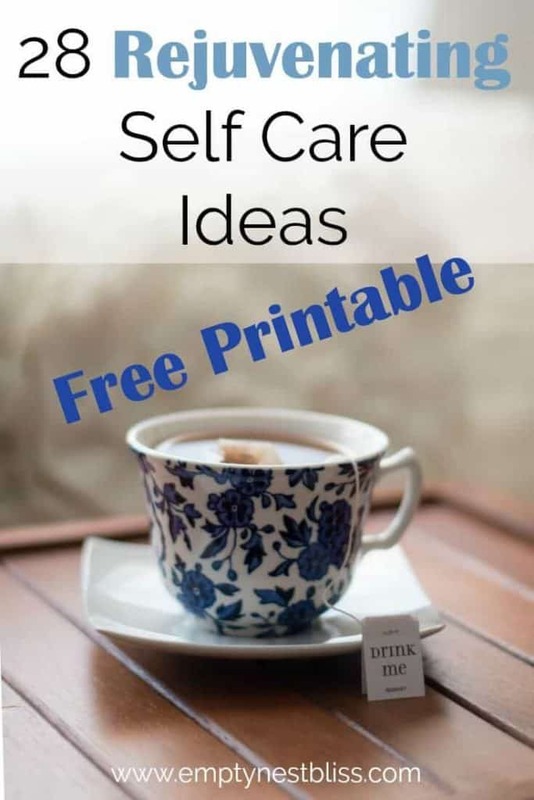 Save this Self Care Pin to your favorite Pinterest Board!